It's not just the salt added to our cooking or at the table that we need to watch out for. In fact, three-quarters of the salt we're eating is already in the foods we buy. These can contain a lot of salt — even if they don't taste salty! 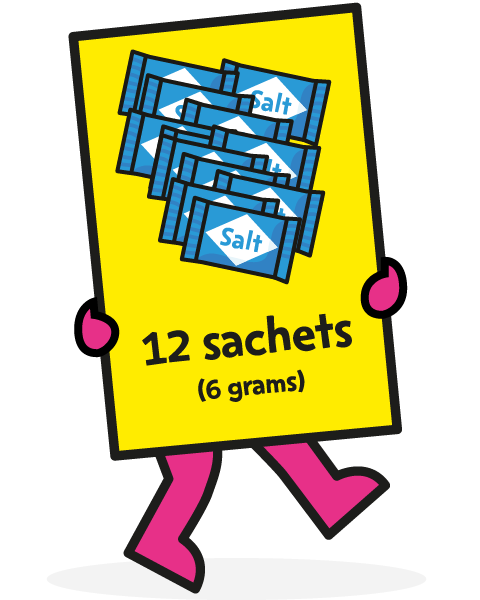 Too much salt can put our kids at risk of high blood pressure and heart disease later on in life. We should be having less than 6 grams of salt a day — that's less than a teaspoon! More than half of our kids are eating too much salt every day. Cakes and biscuits can have a lot of salt in them, even if they don't taste salty. The foods we buy can contain more salt than we realise. Cut back by making smarter choices while shopping – and by using healthier recipes. 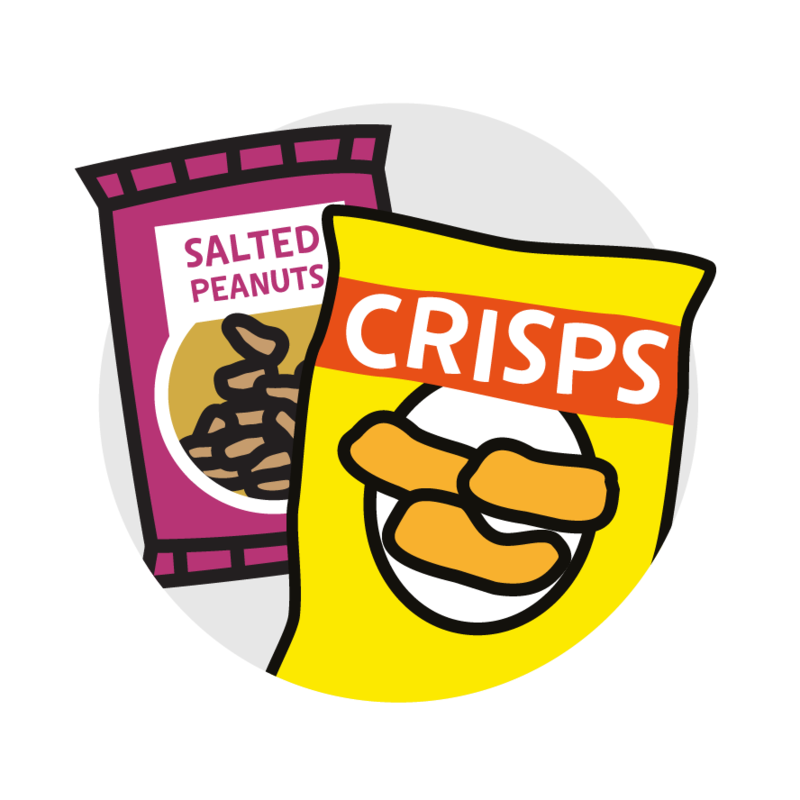 Swap crisps, salted nuts and salty snacks for plain rice cakes, chopped up fruit, veggie sticks or unsalted nuts. 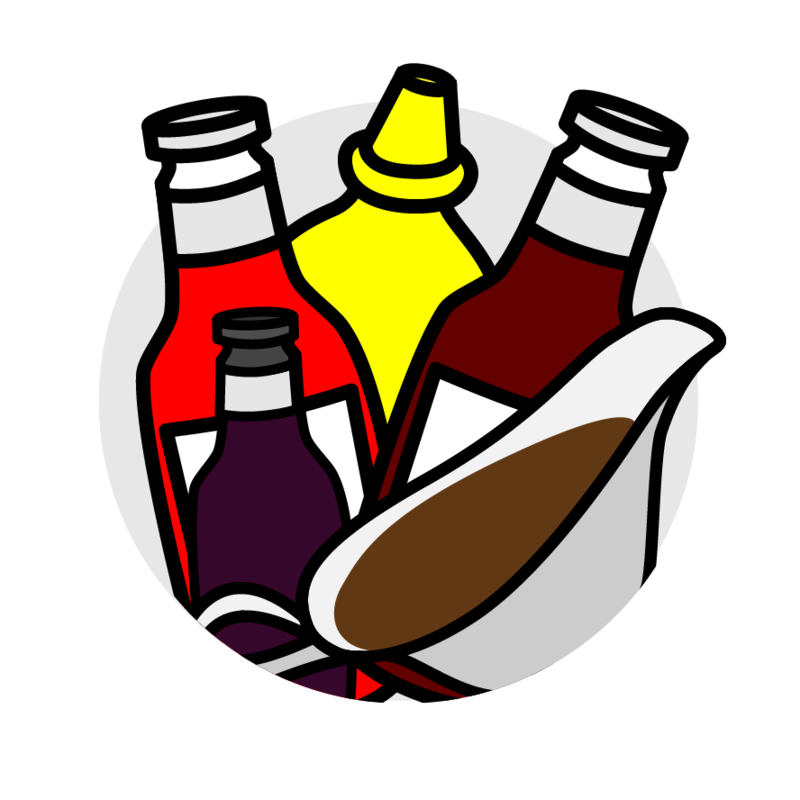 Brown sauce, ketchup, mustard, soy sauce and gravy can all contain a lot of salt. Buy reduced salt options or use less of them. A little goes a long way. Takeaways and ready meals can contain a lot more salt than you imagine, so cut back by cooking your takeaway favourites at home. Remove the salt shaker from the table and use less salt in your cooking. Add flavour by using herbs and spices instead — you'll soon find you don't miss it! 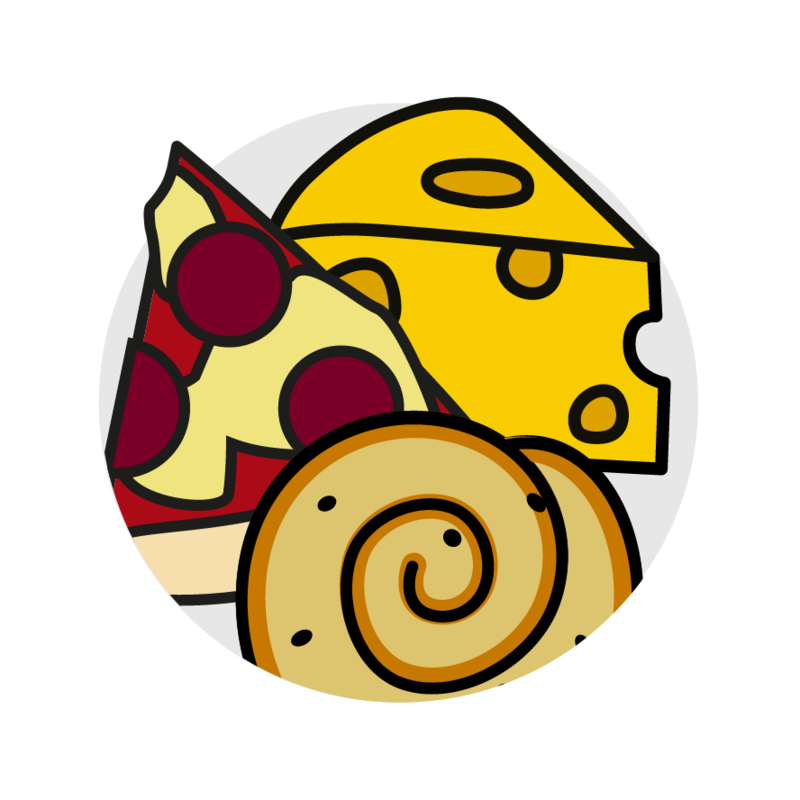 Use the Food Scanner app to see how much salt is in your favourite food. Look for alternatives that are lower in salt. Ready-made soups can pack a salty punch. For a tasty lower-salt option, try our spiced chicken and vegetable recipe. Choose a breakfast that's low in salt – plain porridge or cereal, such as wholewheat biscuits or shredded whole grain. 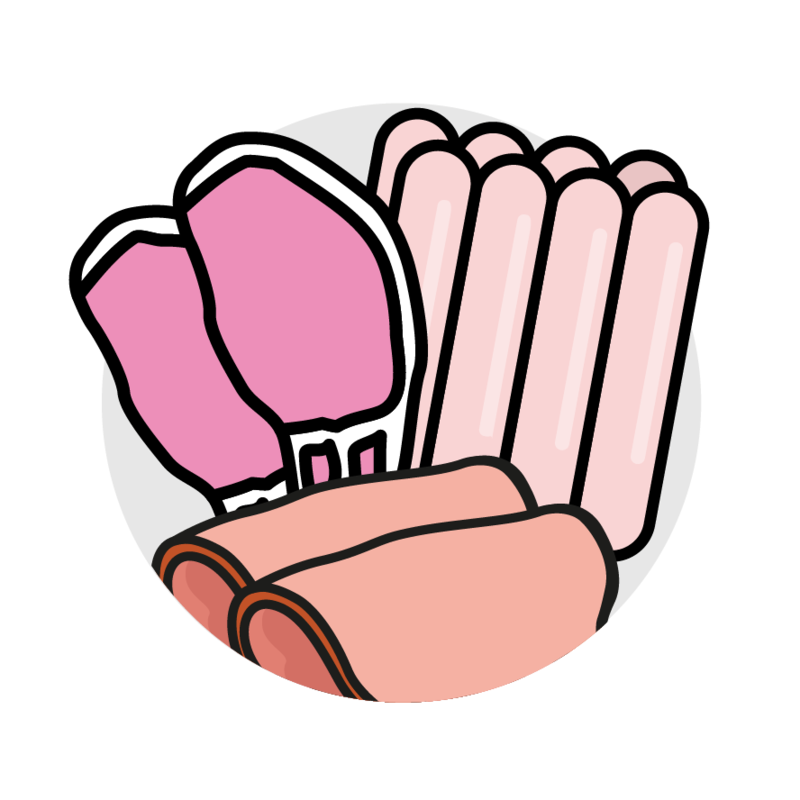 Swap cheese and salty processed meats like ham and salami for lean cuts of chicken, beef or canned tuna. Add veggies and salad to every sarnie — and check out our Lunchbox recipes for more ideas! Take the Salt Taste Challenge, and try cutting down on the salt you add to food over a few weeks. You may find you don't miss it any more. Why not give it a go? 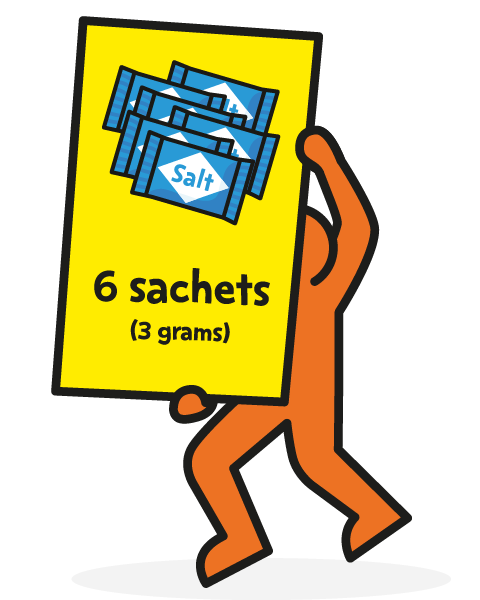 At the supermarket, look out for lower-salt versions of your favourite baked beans, soups, soy sauce and table sauces. Scan barcodes using the app to find out what's inside popular food and drink. 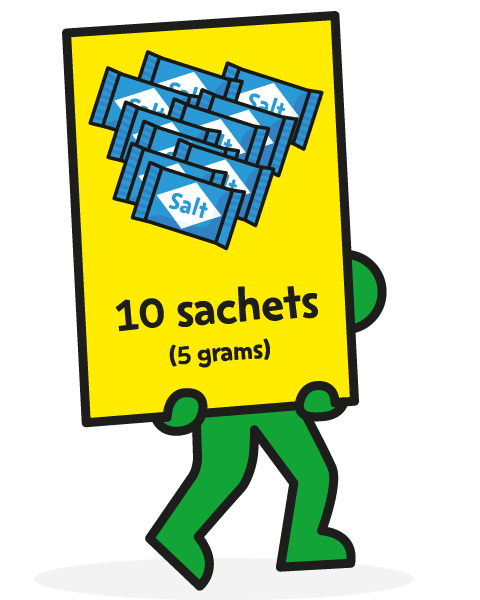 Some food labels have traffic light coloured labels to show the salt content. Choose more greens and ambers, and fewer reds. Red means this food is HIGH in salt. Think about how often you choose it and how much of it you eat. Amber means this food has a MEDIUM amount of salt. This makes it an OK choice, although going for green is even better. Green means it's LOW in salt, which makes it a healthier choice. What about labels without traffic lights? You can still tell if foods are high or low in salt by looking at the amount per 100g/ml on the nutrition information panel.